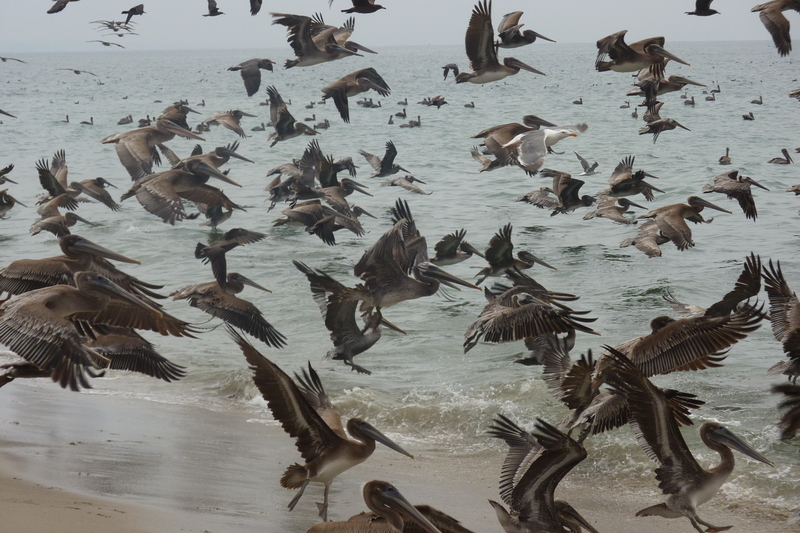 A surprising number of Brown Pelicans and Heerman’s Gulls on Will Rogers State Beach and seaward this morning, between Channel Rd./Chatauqua Blvd. and Sunset Blvd. Also seen in large numbers: Elegant Terns, a flock of (presumed) Sooty Shearwaters, and Double-crested Cormorants. 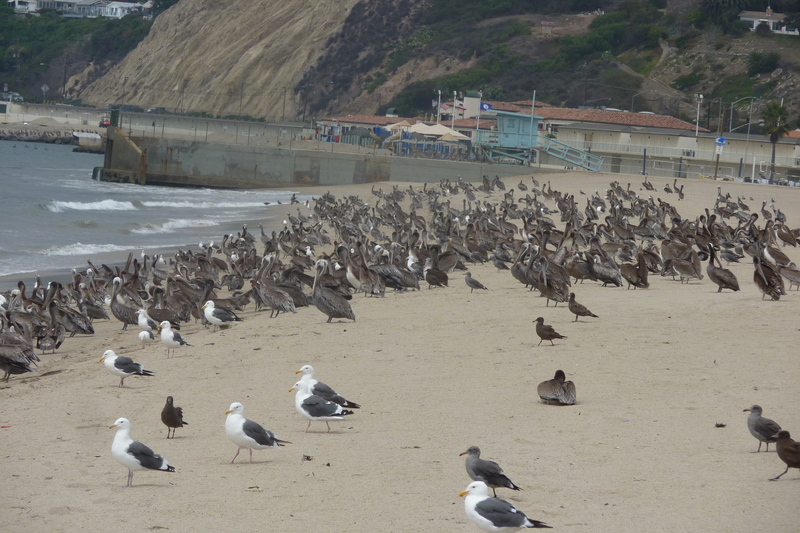 A beach flock just south of the BelAir Beach Club along Will Rogers State Beach. I saw the same flock on Monday August 19; there must have been a shoal of fish. Many of the penguins were diving into the water.